﻿ Kindness Hotel-Houyi Jiuru, Kaohsiung | FROM $44 - SAVE ON AGODA! "The room is clean, and the hotel location is good." Have a question for Kindness Hotel-Houyi Jiuru? "Good location & good services"
"Good loaction and good services, I will booking this hotel future." "Great stay for my family." "Good Breakfast, 24-hour available snacks bar (a lot of food..."
Nestled in the heart of Sanmin District, Kindness Hotel-Houyi Jiuru is an ideal spot from which to discover Kaohsiung. From here, guests can enjoy easy access to all that the lively city has to offer. A haven of rest and relaxation, the hotel will offer total renewal just steps away from the city's numerous attractions such as Shoe Street, Houyi Shoping Area, Honey Museum. Take advantage of a wealth of unrivaled services and amenities at this Kaohsiung hotel. The hotel offers access to a vast array of services, including free Wi-Fi in all rooms, private check in/check out, 24-hour front desk, express check-in/check-out, car park. The hotel features 98 beautifully appointed guest rooms, many of which include television LCD/plasma screen, internet access – wireless, internet access – wireless (complimentary), non smoking rooms, air conditioning. Besides, the hotel's host of recreational offerings ensures you have plenty to do during your stay. Enjoy unparalleled services and a truly prestigious address at the Kindness Hotel-Houyi Jiuru. "24hr snacks, breakfast, light evening meal, free laundry." Room layouts may be different for specific room types and will be designated by the property. As other Kindness Hotel, all service is very good. However the location of this is a bit far from Metro station (need to go up and cross the railway station and quite a long way when carrying lugguage). Easy to find good next to the hotel, many kind. Breakfast is fantastic, free snack at night, clean rooms. We find the free snack service is fantastic. Breakfast is supper good. the only bad point is you have to cross a bridge in order to reach the hotel. It is a lot of steps for carrying your luggages to cross it. 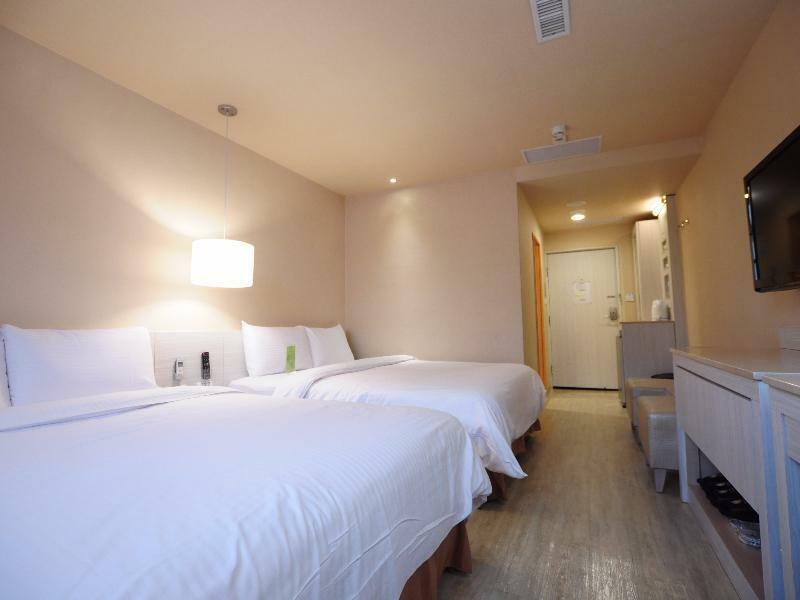 The hotel is small as compare to other Kindness Hotel branch in Kaohsiung. The room is clean. The staffs are friendly. Breakfast is the best... There are few KTV opposite the hotel, which can be quite noisy in the night especially during weekend. Just 2 minutes walk from back entrance of Kaohsiung train station, and 5 minutes from the local night market at Ji Ling street where you can find the best local food frequent by locals (forget Liu He night market, it is flood with tourist). But you don't really need to go anywhere if so decide to rest and relax in the hotel. They feed you well with a good selection of desserts. There is really nothing to complain about this excellent hotel. when you are back after a day of shopping you get to enjoy the free dessert bar. Food is great. Rooms are a little tiny and you can hear the noise from the corridor but overall its a steal for the price. Will stay here again in future. A small lobby but very friendly staff. The hotel room is not big but is enough for 4 family members. The hotel provide Chinese & Western buffet breakfast, 24 hours free snack bar and free laundry service so we don't need to bring along so many clothes. Nearby train & MRT station. Next to the train station is the wholesale street selling clothes. 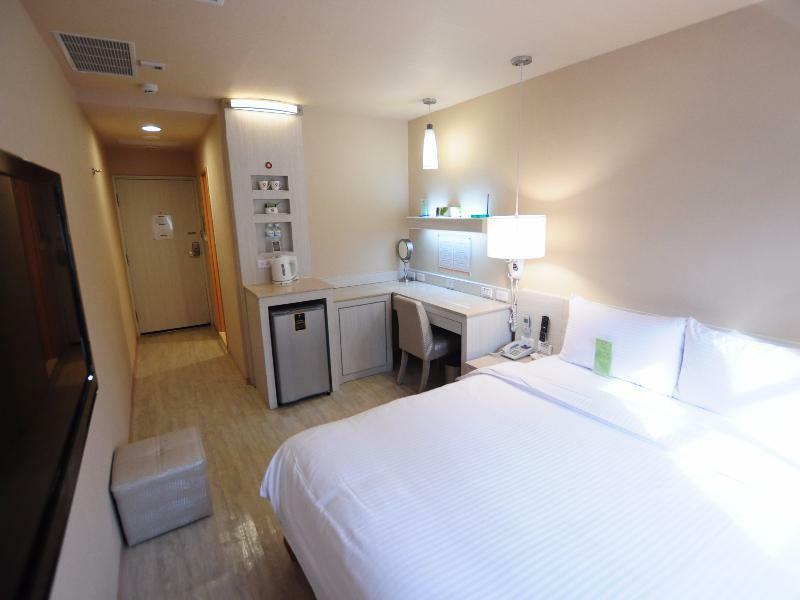 Overall is a great hotel and is value for money. Confirm will stay again for my next visit. Excellent stay in this Hotel. Friendly and helpful staffs. They provide not only free breakfast with variety of choices, they also provide tea from 5pm to 11pm. We had fun staying in this Hotel and will definitely recommend to others. I have stayed at this hotel many times before, but each time i find new things to be happy about. The free afternoon tea/supper has been improved with even wider variety. The breakfast was also great, heaps of room in the dining hall and lots of good quality selection to choose from. Overall faultless stay for the price paid...highly recommended! The first 2 days were so good i had to come back. The hotel really is like a home away from home because it has available everything you need and expect at home. Especially good is the free lobby bar and afternoon tea which is spacious and quiet, allowing you to take it easy and relax with a cup of tea and read the paper. The well-equipped laundry is also very handy and easy to use. As usual very happy with the stay. I always stay at the Kindness Hotel properties when in Kaohsiung, and this is one of the better ones if you do not mind being a short walk away from the MRT which is just on the opposite side of the train track. As usual the staff were friendly, fast and efficient. Good stay as usual. The hotel is located close to the Kaohsiung Main Station, but may be difficult to access if you have lots of luggage because you need to cross a foot bridge to cross the tracks. The staff at the hotel was nice and polite, always smiling and friendly. The room is nice and clean while the facilities such as self-help laundry, lobby bar and business centre was excellent and well-equipped beyond expectation. Overall a pleasant stay and well worth the price. The room was not huge but I think it is enough to 1~2 ppl. cleans as well. I've been to a lot of countries and hotels. but I'm sure that this hotel is one of the best. The prices were so cheapt and the staffs are very very very kind and nice. 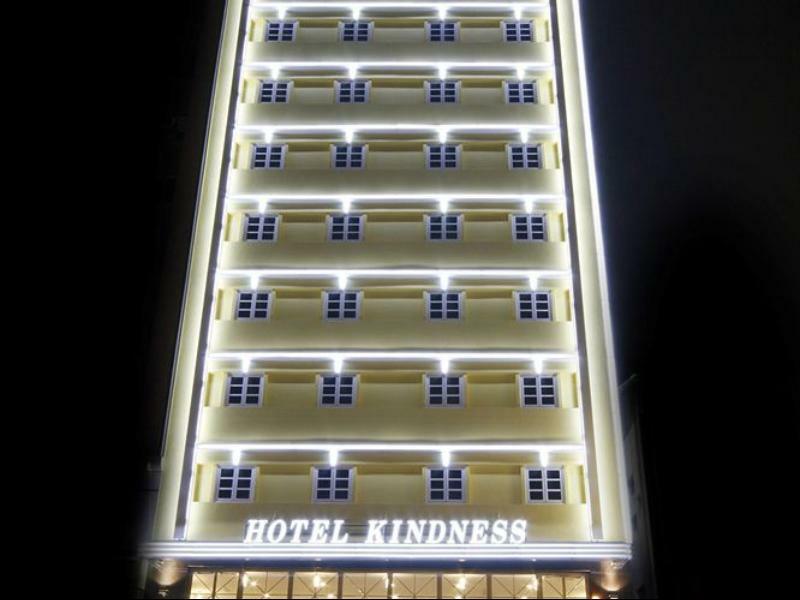 I strongly aree with "why the name of hotel is Kindness hotel" Thank you again for the nice staffs. 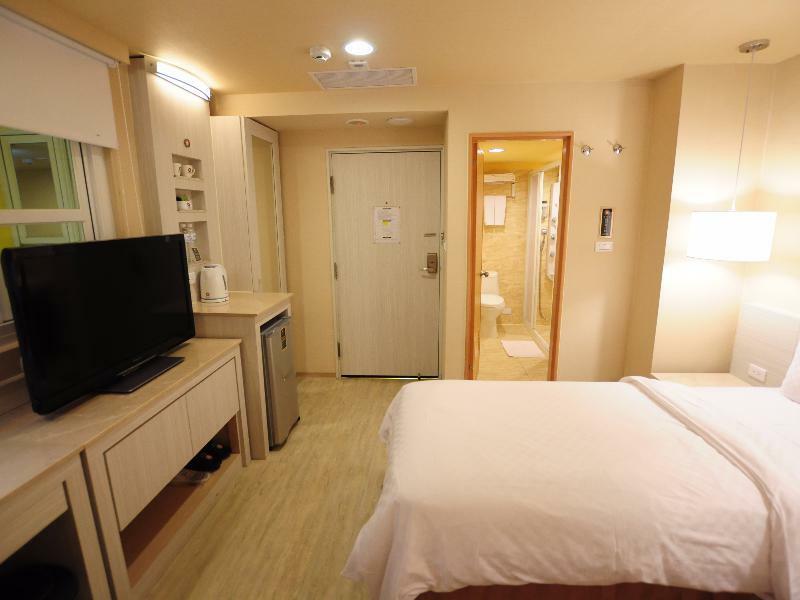 A last minute deal due to typhoon, got a family room. Hotel not so obvious, approx 5 min walk from metro station. Tip to travelers: from the metro station which is at the "Front station" of the railway station, you can walk through the overpass of the railway station by simply saying to the staff that you need to, and they will issue a temporary pass for you. Or you may choose to use the uncovered overpass next to the long distance bus terminal, left of the "Front station". From either way, look right for a 7-11 after exit and you will see the hotel, in yellow. Staff was nice and check in was swift. The room is clean and comfy, just that the window is a bit small, not bad for a business hotel tho. Breakfast was full of variety of local food and international selection. The free bikes and free food from 1700-0000 mentioned by others were there too, no chance to use tho. A definite money well spent for the service and stay. Conveniently located just about 5 min. walk from Kaoshiung Railway station. Staff were friendly and helpful. Free internet available. Provides free refreshments and snacks practically round the clock. Self services laundry services with washing powder is available. You can also loan free bicycle. room clean, location is good, free parking, laundry. 24hr snacks, breakfast, light evening meal, free laundry...what more could you ask for? The room was clean and comfortable with all amenities. I will stay again! Chance upon this hotel while i was searching for hotel in Taiwan. Kindness was given very good reviews and decided to take it up. It was really great indeed. Good Breakfast, 24-hour available snacks bar (a lot of food indeed) and most important Very Very Friendly and Helpful staffs. Kindness can't get any better! Great stay for my family. Will be back again definitely! Helpful and friendly staffs. We reached hotel at 1pm, but very lucky that the receptionist allowed us to check in early instead of 3pm. Good location (just near to Railway & MRT station). And we as hotel guest allowed to use the washer and dryer for free. The location is really good, very close to Kaoshiung main train station (walkable distance). The best of all, free desserts (ice cream, cakes and more) for 24hrs! It also have water dispenser on every level. I have a very pleasant stay at this hotel. Though one thing I will like to highlight is that the door lock is damaged easily. Staff are very friendly and helpful. Definitely greatly recommended hotel to all travellers.